Cycling in southwest England, what variety of countryside can be found. The dramatic Jurassic Coast. The gentle lanes of Dorset. Devon's moorland, amazing north coast, the English Riviera and the county's Ruby country. Hampshire's river valleys and rolling downs. The microcosm that is the Isle of Wight ideal for a cycling holiday. Somerset's Mendips, Quantocks and the Levels. Then there is the historical landscape of Wiltshire. Wherever one goes there is something else around that corner that so begs to be explored. One thing that must be in the backpack is a camera or at least a smartphone for the expected unexpected! Take your time, explore. Stop and listen to the birds in the bushes or admire the wild flowers, the cottage gardens and the sudden view as you come over the hill. Stupendous! When it is eventually completed this incredible route will pass through all the counties in the south of England. In Wessex there are several sections already completed, notably the trail between Dorchester and Lyme Regis. While only thirty miles, there is so much to see that it would make a short holiday. NCN 3 – Bristol to Land's End. This route has two names, The West Country Way until it arrives in Cornwall when it becomes The Cornish Way. Part of the route follows the popular Tarka Trail. There are branches of NCN 3 for further exploration of this lovely countryside. Attractive towns along the way are Wells with its magnificent cathedral, Taunton the county town of Devon, Barnstaple on the Tarka Trail , plus Bude and St Austell in Cornwall. NCN 4 forms part of the Severn and Thames route and is the main one through Wiltshire . There are two options. The southern option goes along the Kennet and Avon route between Pewsey and Trowbridge and the northern one connects Marlborough and Chippenham. From Reading in Berkshire to Sandown in the Isle of Wight . Cross from Southampton to East Cowes on the Island by ferry. The route travels from Reading to Basingstoke and then on to Alton and Winchester. From Wincheser the route travels through Eastleigh and on to Southampton. Across the water one must needs go over the River Medina on the Floating Bridge to West Cowes. From there to Newport, the Island's main town, and finish at Sandown, a most attractive coastal town. 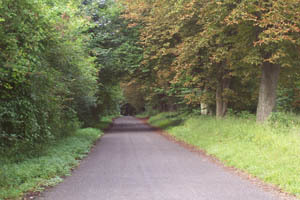 NCN 24 - Otherwise known as Colliers Way – also a walking route. Runs from Dundas Aqueduct over the Kennet and Avon Canal to Frome. Follows old railway lines and pretty lanes in the Somerset countryside. Called the Colliers Way for the old coal mines in the area. Radstock Museum on the route tells their story. Frome is an attractive ancient town with a large number of listed buildings. NCN 25 – All in Dorset From Longleat, a country house and safari park belonging to the Marquis of Bath to Gillingham in the Blackmore Vale and down to the coast at Poole. NCN 26 from Clevedon, a small seaside town in North Somerset to beautiful Wells, on to Castle Cary in South Somerset and Yeovil on the county boundary. The route then crosses into Dorset to the county town of Dorchester. NCN 27 also known as the Devon Coast to Coast Route. Starts at Ilfracombe on the stunning North Devon coast to Plymouth on the beautiful South Devon coast. Right across the county. For part of its route it follows the ever popular Tarka Trail named for Tarka the Otter, a novel by Henry Williamson. NCN 28 from Okehampton , one of the gateways to Dartmoor to Salcombe on the south coast of the county. An area of outstanding natural beauty. The trail runs first to Newton Abbott of the racecourse fame, to Totnes at the head of the Dart Estuary and on to its finish in Salcombe. NCN 33. The Wessex Cycleway. Has its beginnings in Pill a small village in North Somerset close to Easton in Gordano. From there the trail wends its way to Clevedon, a small coastal town in North Somerset and carries on to the seaside town of Weston-Super-Mare. From there it follows a route to Bridgewater on the edge of the Somerset Levels. Then onwards to Chard rumoured to be the original Camelot and headquarters of the legendary King Arthur and his Round Table. 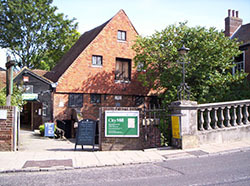 Also at one time the headquarters of the Kings of Wessex. The route finishes at Seaton at the mouth of the River Axe on Lyme Bay. This pretty county's population lives mainly on the coast and this leaves a large, lovely rural area. The Castleman Trailway takes part of the Southampton to Dorchester railway and travels from Upton to Ringwood via Wimbourne. 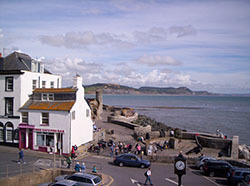 A branch of Network Route 2 runs from Dorchester to Lyme Regis on the coast. This makes a delightful short break. Hampshire includes the attractive New Forest. Offroad, pathways, country roads and plenty of interesting places to see. There are 15 routes through the beautiful Test Valley for varying abilities. What about starting at Petersfield for the 22 mile circular route through an area of outstanding natural beauty. Then there is the South Downs Way that takes the rider into Sussex. Great for the purist and the mountain biking enthusiast. All types of terrain for the off road devotee including very steep climbs. For the traditional rider miles and miles of quiet country lanes to explore. Refreshment can be had in the cafes and pubs along the way. 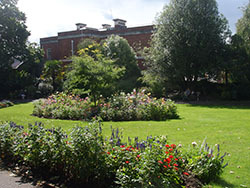 Events occur throughout the summer. The Isle of Wight Randonee is one and the Isle of Wight Cycling Festival is another. The IOW is a popular cycling destination. Try the Somerset Levels for less strenuous riding. 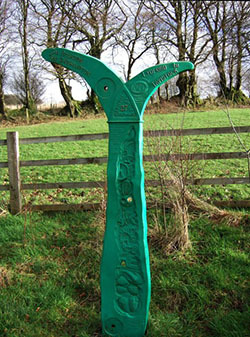 The West Country Way, NCN 3, travels through some attractive Somerset countryside including The Mendips. Try the Quantocks for mountain biking. Then there is Exmoor. 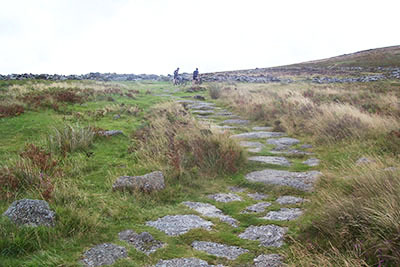 (Please read Dartmoor Trails if you are a novice rider or have no experience of the moors. It applies to Exmoor as well.) There are clubs for all type of devotees. An area of outstanding natural beauty covers a large part of Wiltshire. Over 7000 paths wind around this ancient, outstanding county with its plains, amazing views, hills and valleys. Off road country. Part of the National route 4 goes through Wiltshire. The Wiltshire Cycleway is regional way No 20 connecting many towns in the area. The Wessex Ridgeway runs from Marlborough to Lyme Regis in Dorset. Or perhaps you would like to browse some more, maybe the county pages or Events. If so there are navigation buttons above on the left for your pleasure. Enjoy. Holidays need accommodation and with a bike self catering is the way to go. Try this page. Some cycle orientated places will take your luggage on to the next stop for you, but you need to ask. Try this Travel Directory. What about a coach to get you to your destination. Pretty easy!! Put the bike in its special case and give it with your backpack to the driver to put in the luggage. Then just get on the coach and relax until you get there! A good excuse if you want one is to say it is the 'green' way to go!!!! Trains are best when you have little time for your break.